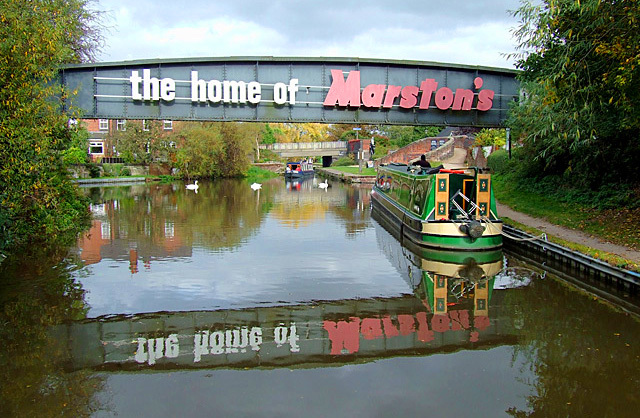 There are several places in and around Burton where you become aware of the presence of the canal, but rarely do we ever bother to piece them all together. One great advantage of the canals is the always adjacent tow path which has the benefit of being continuous and completely flat making for easy pushbiking. I decided therefore, as an exercise (in both senses), to start at Willington and pedal right the way through to Barton to get a clearer picture of how all of the well known sections piece together and what lies between. If you are feeling less energetic of course, you could make the same journey via Google Earth! 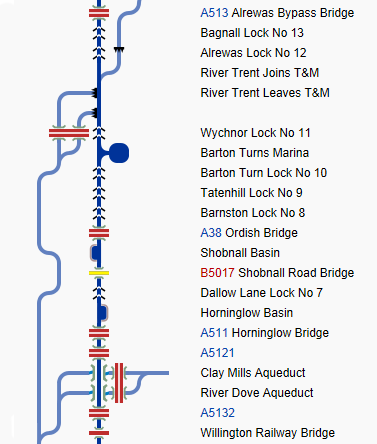 The above map shown here is a very short extract of a nationwide system of canals showing all bridges, aqueducts, basins, locks and its relationship with the Dove and Trent rivers. 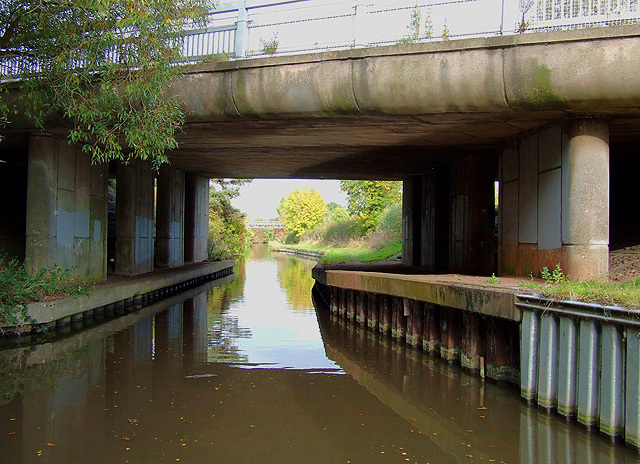 The canal sits quietly under the modern, busy A38 close to the Clay Mills junction. 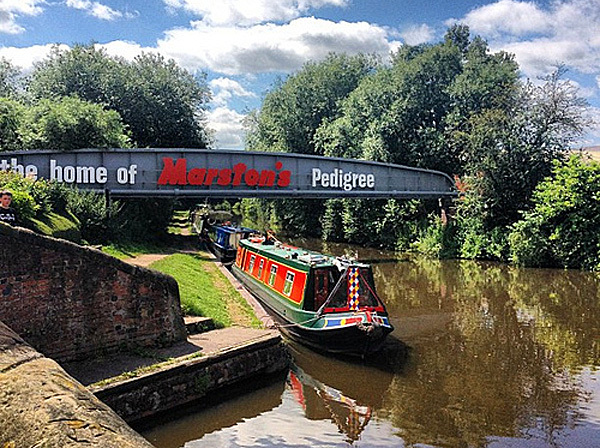 A couple of photos of what is perhaps Burton’s most distinctive canal bridge which can still be seen close to Shobnall Road. A glance over the bridge is like peering into a bygone age. 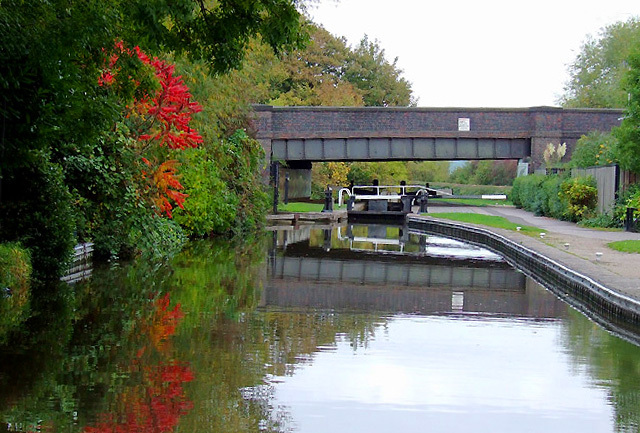 A very short walk from familiar territory brings you to Dallow Lane Lock (Lock No 7); unchanged by time in the heart of Burton. 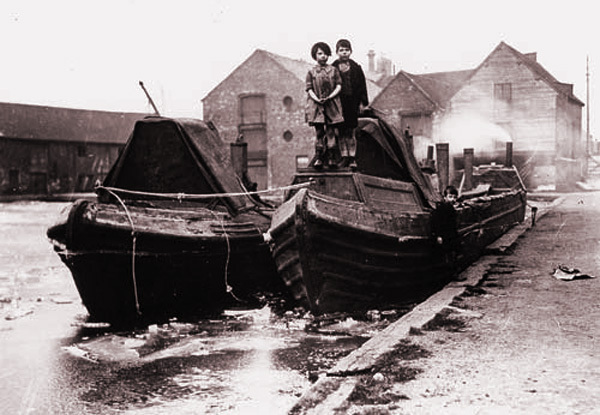 Finally, a posed photo taken in 1910 at Horninglow Wharf, the subjects unperturbed that the canal is frozen over.